Today I am posting at Woman to Woman for Tasty Tuesday. Join me! 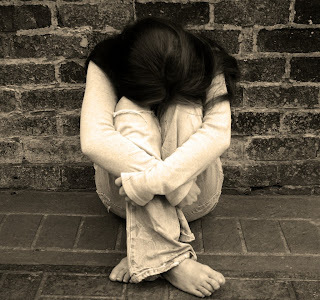 Sometimes we go through times where we feel all alone. We are hurting. We think no one is there. We feel as though God is out of reach. We cry out and He doesn't answer, at least not as we think He should. We feel as though we are close to rock bottom with no way up. God is there with you. This I promise. God promises us that He will always be by our side. Cry out to Him. When you feel as though you can't face another day, when the bottom has fallen out on everything, cry out to Him. Fall into the arms of Jesus. Sink into His loving embrace. Let His grace and peace wash over you. Oh friends, I am so excited! My family loves to watch game shows. My family loves the Bible. Now we can have both in one spot! 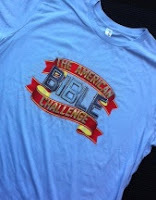 The Game Show Network is bringing us the all new American Bible Challenge! This is the first of its kind in television. What a wonderful way to help get the Word of God out there in a positive way in media. Each Thursday at 7pm CST, American Bible Challenge will come across your screen with Host Jeff Foxworthy and a church choir singing beautiful hymns. Teams will compete on Bible questions. And a wonderful perk? Show winnings go to charity! This is definitely a game show you want your family to watch! Watch host Jeff Foxworthy as he talks about the show, or click HERE for trailers. Time for the giveaway! One winner will receive the America Bible Challenge tee shirt AND a Zondervan Quest Bible! To enter simply complete the tasks below. The winner will be announced on Thursday (Aug 23rd). I haven't heard of that show! Sounds wonderful. I wish my daughter was still here to watch it with me; we'd have fun with it.